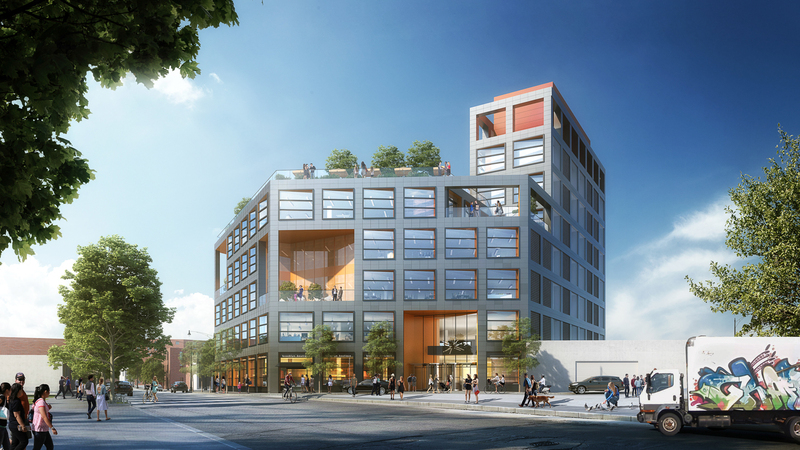 Plans have been announced for a new seven-story office building on the Greenpoint Waterfront, and today, YIMBY has the first renderings for the site. 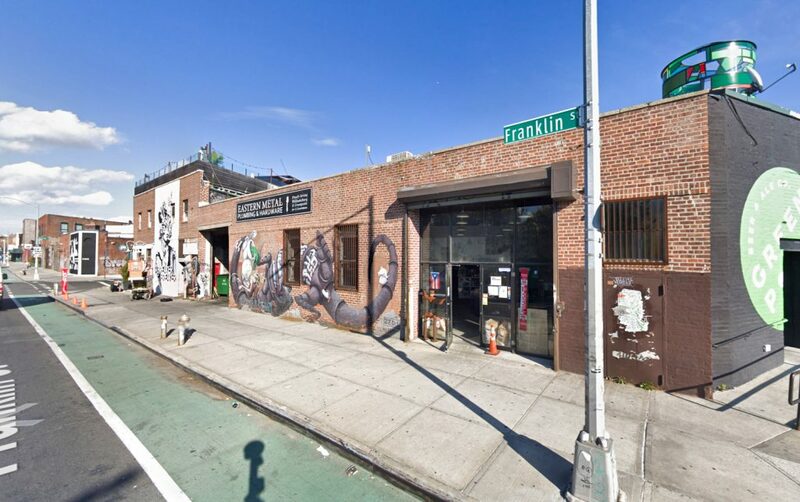 The project is targeted to satisfy the demand for more small Class-A office space in the rising Greenpoint and North Williamsburg areas, which have seen a significant boom in new residential development. Simon Baron Development is the developer behind the uniquely-shaped structure, and FXCollaborative is responsible for the design. The building will yield 134,000 square feet of office space and 23,000 square feet for manufacturing. 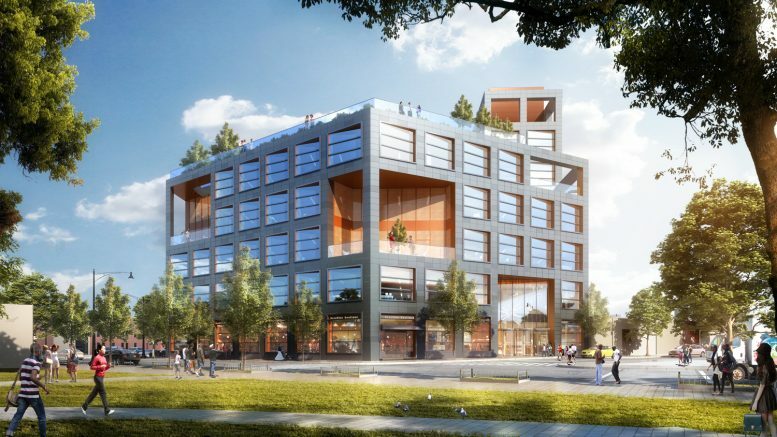 The neighborhood will benefit from new ground-floor retail, while tenants will benefit from terraces on each floor, and a shared rooftop terrace with views of Brooklyn and Manhattan. Room for storing 36 vehicles and 85 bicycles will be included on site. The certification process for the NYC Planning Commission is expected to start today, and completion is expected by 2021, meaning it will likely open by the time the L train re-opens. The firm acquired 12 Franklin Street in 2016 for $24 million. 5 Comments on "FXCollaborative’s Imaginative Design Revealed for 12 Franklin Street in Greenpoint, Brooklyn"
Please pardon me for using your space: Emotion and idea go to one way with. What a beautiful! There are dozens of pieces of real estate in the area that have nothing going on – it’s pointless to bulldoze one that works fine how it is just to build this boring cash-in. Pointless? In Greenpoint? Property versus people? The point is that greedy real estate developers care nothing about the people they may hurt or displace. Money doesn’t talk- it swears and shouts and drowns everything else out. The one potentially good thing about office and manufacturing growth in this formerly industrial area is that if it leads to more people living in the surrounding “trendy” neighborhoods it might relieve the strain on the infrastructure that might otherwise occur. Of course that in itself fosters rising rents and displacement of old-time residents that call Williamsburg & Greenpoint their home. The Australian bar here, called Northern Territory, has a rooftop with spectacular views across the river — check it out while it’s still around.